How many great monster movie moments have started with the hands? You know the scene we’re talking about: our leading man has been bitten by an animal, or cursed by an old witch, or stepped into a forbidden tomb, or something along those lines. After a while he gets to feeling not so hot. He’s sweating, his head is swimming, he’s having trouble standing up. But the real horror begins when he looks down at his hands. They’re changing right before his eyes, growing larger, sprouting fur and claws. He raises them to his face in disbelief, only to realize that his face is changing too. He will be more man than monster from this moment on. Lucky for you that you don’t need to go through quite so much supernatural trauma on your path to becoming a werewolf. 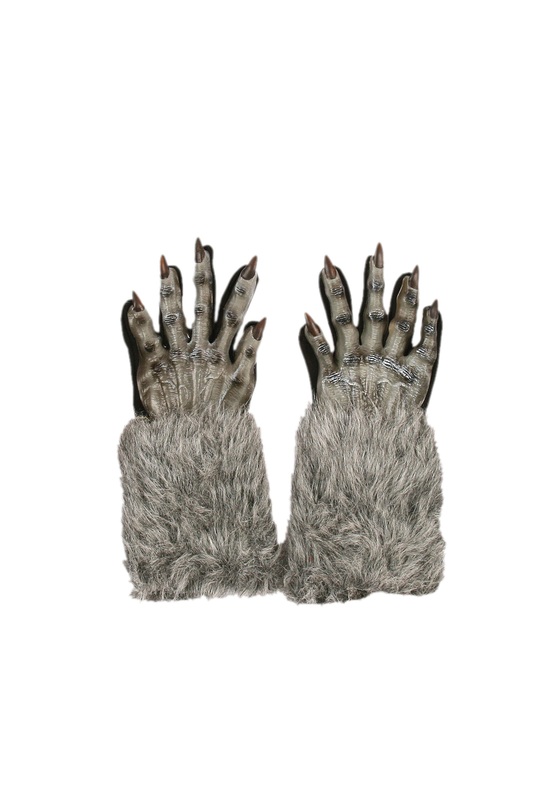 For you, it’s as simple as slipping on these gnarly polyester gloves, featuring molded hand tops with claws, faux fur cuffs, and flexible cloth palms. They’re the perfect choice for re-enacting that awful moment of realization, or for throwing your hands skyward and screaming, “What have I become?” They might be a little clumsy around the nacho bowl, though. You may want to save your transformation until after dinner. Ordered for an adult doing a haunted house. When we recived them, one glove was smaller than the other. He could barely get his hand inside that one. For the price, I'm not overly upset. But disappointed for sure. 9yr old grandson loves this!